We’re delighted to be bringing CC Smugglers back to Manchester – this time, with their debut album! CC Smugglers‘ long awaited debut album is finally announced. How High, released on 29 March 2019, is available to pre-order through the band’s pledge store, website and all major outlets. The band, who started out as young street performers and went on to tour the world, are known for their high-energy and engaging live performances. The dedicated fan base have been waiting for years for this album but the time is finally here and the first two singles – Baker St. 205 and Grumpy – have given those fans a taste of what’s to follow. Baker St 205 is a killer blues original that playfully touches on their experiences playing on street corners growing up. Recorded live, using the same techniques and approach as Muddy Waters records, this track shows off the watertight live performance experience that CC Smugglers have become known for. Known for their unique approach in everything they do the band are releasing a seven-part documentary titled ‘Then and Now’ in tandem with each single. The documentary explores the bands colourful and unique creation story and compares it to the ongoing challenges facing innovative young musicians in today’s music industry. Featuring Seasick Steve and Old Crow Medicine Show, the documentary highlights CC Smugglers’ unique approach to build a following, which they coined ‘guerrilla busking’. Support comes from Sam Jefferson. Steeped in folk storytelling tradition, Sam Jefferson draws equally from his family’s jazz and blues background to create songs that ‘bring a story to life’. 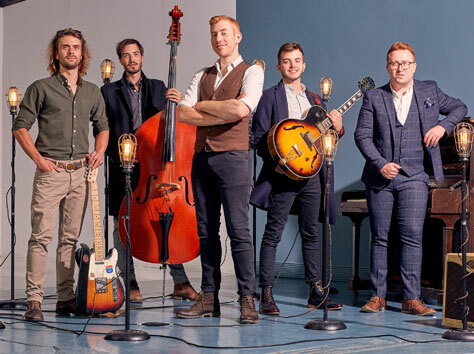 Since moving to Manchester in September, Sam has laid out his unique fusion of folk and blues with concerts that include supporting Ralph McTell at his RNCM concert, earning Ralph’s praise of ‘outstanding musicianship’ and opening the 2018 Manchester Jazz Festival – an appearance that led to a monthly gig at Matt & Phreds Jazz Club.